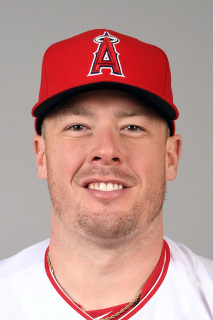 December 15, 2018 Los Angeles Angels signed free agent 1B Justin Bour. November 30, 2018 1B Justin Bour elected free agency. September 2, 2018 Philadelphia Phillies activated 1B Justin Bour. August 23, 2018 Philadelphia Phillies placed 1B Justin Bour on the 10-day disabled list. Left oblique strain. August 11, 2018 Philadelphia Phillies activated 1B Justin Bour. August 10, 2018 Miami Marlins traded 1B Justin Bour and cash to Philadelphia Phillies for LHP McKenzie Mills. September 8, 2017 Miami Marlins activated 1B Justin Bour from the 10-day disabled list. September 2, 2017 Miami Marlins sent 1B Justin Bour on a rehab assignment to Jacksonville Jumbo Shrimp. July 25, 2017 Miami Marlins placed 1B Justin Bour on the 10-day disabled list. Right oblique strain. June 16, 2017 Miami Marlins activated 1B Justin Bour from the 10-day disabled list. June 14, 2017 Miami Marlins sent 1B Justin Bour on a rehab assignment to Jupiter Hammerheads. June 6, 2017 Miami Marlins placed 1B Justin Bour on the 10-day disabled list retroactive to June 5, 2017. Left ankle contusion. September 6, 2016 Miami Marlins activated 1B Justin Bour from the 60-day disabled list. August 23, 2016 Miami Marlins transferred 1B Justin Bour from the 15-day disabled list to the 60-day disabled list. Right ankle sprain. July 29, 2016 Miami Marlins sent 1B Justin Bour on a rehab assignment to New Orleans Zephyrs. July 6, 2016 Miami Marlins placed 1B Justin Bour on the 15-day disabled list retroactive to July 3, 2016. Right ankle sprain. April 24, 2015 Miami Marlins recalled 1B Justin Bour from New Orleans Zephyrs. March 18, 2015 Miami Marlins optioned 1B Justin Bour to New Orleans Zephyrs. September 2, 2014 Miami Marlins recalled Justin Bour from New Orleans Zephyrs. July 19, 2014 Miami Marlins optioned 1B Justin Bour to New Orleans Zephyrs. July 2, 2014 Miami Marlins recalled Justin Bour from New Orleans Zephyrs. June 27, 2014 Miami Marlins optioned 1B Justin Bour to New Orleans Zephyrs. June 16, 2014 Miami Marlins recalled Justin Bour from New Orleans Zephyrs. June 12, 2014 Miami Marlins optioned 1B Justin Bour to New Orleans Zephyrs. June 4, 2014 Miami Marlins selected the contract of Justin Bour from New Orleans Zephyrs. March 1, 2014 1B Justin Bour assigned to Miami Marlins. December 12, 2013 New Orleans Zephyrs claimed 1B Justin Bour off waivers from Tennessee Smokies. June 19, 2013 Justin Bour roster status changed by Tennessee Smokies. April 20, 2013 Tennessee Smokies placed 1B Justin Bour on the 7-day disabled list. March 16, 2013 1B Justin Bour assigned to Chicago Cubs. December 5, 2012 1B Justin Bour assigned to Gigantes de Carolina. April 3, 2012 1B Justin Bour assigned to Tennessee Smokies from Daytona Cubs. March 29, 2012 1B Justin Bour assigned to Chicago Cubs. April 3, 2011 Justin Bour assigned to Daytona Cubs from Peoria Chiefs. March 26, 2011 1B Justin Bour assigned to Chicago Cubs. April 4, 2010 Justin Bour assigned to Peoria Chiefs from Boise Hawks. March 25, 2010 1B Justin Bour assigned to Chicago Cubs. July 15, 2009 Justin Bour assigned to Boise Hawks from AZL Cubs. June 21, 2009 Justin Bour assigned to AZL Cubs from Chicago Cubs. June 19, 2009 Chicago Cubs signed Justin Bour.